By: Jacob H. Kiessling, Esq. In the closing days of 2017, the federal Tax Cuts and Jobs Act (“Act”) was enacted. Its impact will be felt by virtually every taxpayer on multiple levels. From a farm succession planning standpoint, the most impactful changes include reduction of individual and corporate tax rates, increases in the federal estate and gift tax exclusion amount, preservation of stepped-up basis and continuation of like-kind exchanges for real estate. In addition to lower tax rates in general for individuals, the owners of pass-through entities (LLCs, S-corporations, partnerships and sole proprietors) who report business profits on their personal tax returns may be able to take up to a 20% deduction against their pass-through income. Corporations will also benefit with the corporate tax rate being significantly reduced from 35% to 21%. The Act also doubled the federal estate and gift tax exclusion amount from $5.6 million per person to $11.2 million per person. With portability (the passing of a deceased spouse’s unused federal estate and gift tax exclusion amount to the surviving spouse), a couple will be able to pass up to $22.4 million during life and/or at death tax free. Another change under the Act impacts like-kind exchanges under I.R.C. §1031, commonly referred to as 1031 exchanges. In the past, taxpayers could defer gain on the sale of property (including, but not limited to, real estate, equipment and livestock) held for productive use in a trade or business if such property, or the proceeds from the sale of such property, was exchanged for like-kind property to be held for productive use in a trade or business. The Act has limited the application of 1031 exchanges (like-kind exchanges) to only real estate for tax years beginning in 2018. Despite the numerous tax changes under the Act, the guiding principles surrounding farm succession planning will, for most Pennsylvania farm families, remain unchanged. It is not recommended that farmers rush to form or convert to corporations; limited liability companies, taxed as partnerships, will continue to be the entity of choice for most farm businesses. As in the recent past, federal estate and gift taxes will not be a concern for most Pennsylvania farmers. 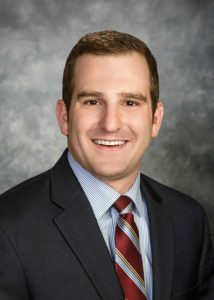 Instead, the impetus for farm succession planning will continue to be: the desire to pass the farm business to the next generation, fair distribution of assets among on-farm and off-farm children, preservation of assets from potential nursing homes costs, the potential impact of divorce, and tax considerations, including stepped-up basis. In the typical farm family, the parents’ estate plan is as follows: Farm assets to my farm son, Andrew, and non-farm assets in two (2) equal shares to each of my non-farming children, Susan and Charlie. While the intentions are clear, and while the wills that are prepared are clear, it is not guaranteed that such intent will be carried out. What is not clear is that, in such a situation, the will is often times not enough — it does not dictate where every asset will go in the event of someone’s passing. It is a common misconception that a will dictates where the entire bounty of one’s estate will pass. In reality, a will only provides for the disposition of probate assets, and has no bearing over the disposition of those assets which are considered non-probate assets. Probate assets are primarily those that are owned solely by a decedent in his or her individual name and contain no beneficiary designation. These assets are subject to Pennsylvania’s intestacy laws (laws which the Commonwealth prescribes for the distribution of assets upon death) and require a will directing distribution in order to avoid such intestacy statutes. Examples of probate assets are business entity interests (e.g. LLC interests) and personal property (e.g. machinery), as well as bank accounts and real estate owned solely by the decedent. Additionally, nonprobate assets (defined below) can be considered probate assets if they name the decedent’s estate as the beneficiary. Non-probate assets are those which bypass the intestacy laws and the need for a will and go directly to predetermined and designated beneficiaries. These assets include real estate or personal property that is held as joint tenants with the right of survivorship or, in the case of married couples, as tenants by the entirety. Further examples of non-probate assets include retirement accounts, life insurance, jointly owned bank accounts and investment accounts which are either jointly owned or which have payable on death (POD) or transfer on death (TOD) beneficiary designations. The distinction between probate and non-probate assets requires a comprehensive understanding of an individual’s entire estate and a joint relationship with one’s attorney, accountant and financial advisor to ensure all assets pass as intended upon one’s death. For example, assume a surviving spouse has $2,000,000 of farm assets and $300,000 of non-farm assets held in an investment account, but with the three (3) children named as beneficiaries of that account. Only the farm assets are probate assets, all of which will pass to the farm son, Andrew. Nothing will pass under the will to Susan and Charlie. Each of the three (3) children will receive $100,000 as beneficiaries of the investment account. In the end, Andrew will receive $2,100,000 of assets and Susan and Charlie will each only receive $100,000 instead of the $150,000 they were intended to receive. A power of attorney (POA) is one of the three documents commonly used to implement an estate plan (a will and a living will being the other two). At least every five years, an estate plan should be reviewed to consider changes in the laws, your family and financial situation, your intentions regarding fair and equitable distributions under your estate plan and your probate assets (distributed per your will) and non-probate assets (distributed per beneficiary designation or by law). With medical advances extending our life expectancies and sometimes the period of our mental or physical incapacities, the POA has become an increasingly important tool. Reflecting that fact and for other purposes, Act 95 of 2014 updated the law relating to POAs in Pennsylvania, with a January 1, 2015 effective date. While POAs signed before that date are still legally recognized, some POAs drafted prior to 2015 may no longer have the legal effect and usefulness as originally intended. The purpose of a POA is to appoint an agent of your choice to act on your behalf with regard to your financial affairs and/or healthcare decisions. An agent is an individual or company (such as a bank) who will handle your financial and medical affairs should you become unable to do so. By appointing an agent while you are of sound mind and have legal capacity, you often can avoid the cost, additional court oversight and complexity of a guardianship proceeding through which the court appoints a guardian of your person and /or estate. When having a POA drafted by an attorney, there are many considerations that you, the person granting the powers (referred to as the principal), must keep in mind. First, who will be your agent? The powers granted to your agent can be substantial, so you must be sure that your agent is trustworthy and will act in your, not the agent’s, best interest. Second, will you appoint one agent or multiple agents who will act as co-agents? Appointing co-agents who must act jointly can provide a safeguard against any one agent taking actions in his best interests, but co-agents can present problems at banks and other financial institutions due to their reluctance to get caught in the middle of an agent attempting to exercise his powers without the joinder of the other agent(s). Therefore, successor or multiple agents authorized to act alone may be the better choice. Third, you must determine which powers you want your agent to have. Prior to 2015, many POAs were drafted to grant to the agent the power to do anything and everything that the principal might do on his own behalf. While still possible now, such broad and far-reaching language is no longer legally sufficient. Under the new law governing POAs, certain powers must be specifically authorized in the POA for the agent to have the ability to exercise such powers. These powers are commonly referred to as “hot powers” and include, among others, the power to make gifts, create or change beneficiary designations, delegate authority granted under the POA, or exercise fiduciary powers which the principal has authority to delegate. Another consideration in creating a POA is the different names the principal has used over the years. Occasionally, individuals have accounts with financial institutions under a variety of names. For example, a principal, John Carl Doe, may have his bank accounts under the name John C. Doe, while his investment accounts may be under the name John Doe. In such a situation, it is important that the POA name the principal as John Carl Doe, a/k/a John C. Doe, a/k/a John Doe. Listing the variations of the principal’s name in the POA is important to allow the agent to act on behalf of the principal with regard to each asset held under a different name variation to reduce the risk of a company not accepting the POA. Mette, Evans & Woodside attorneys can work with you to address these and other considerations as you create or update your power of attorney as part of your comprehensive estate plan.